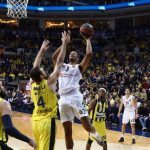 Fenerbahce dominated Panathinaikos on Friday night (85-66) and became the first team that officially qualified to the EuroLeague playoffs (19-3). The Turks took control of the game from the opening tip and never looked back. They were in front by 19 at halftime (48-29) and led by as many as 26 points (72-46). Consequently, they cruised to an easy victory over their opponents and remained on top of the standings. 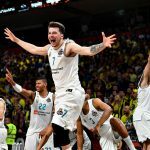 Nicolo Melli and Luigi Datome led the winners with 14 and 12 points, respectively. Sean Kilpatrick (game-high 19 points) and DeShaun Thomas (13 points) were the best players of the losing squad. 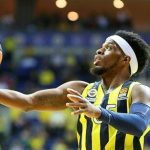 Fenerbahce improved to 19-3 and became the fastest team in the modern era of the EuroLeague to reach the playoffs. On the other hand, Panathinaikos lost its ninth straight game on the road and dropped to 9-13. Their qualification to the postseason is in serious jeopardy. 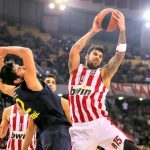 Panathinaikos keeps struggling on both ends of the floor. If they don’t improve their performance, it is unlikely they will reach the playoffs. Moreover, their schedule is tough, as they host Khimki in two weeks and then have three straight away games. One defeat in any of the upcoming matches can crush their dreams to advance to the postseason. Most importantly, though, Panathinaikos seem unable to turn things around and will most likely end the season in a disappointment. 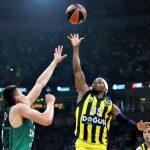 For Fenerbahce, the remaining matches will help the team maintain its performance at high levels. 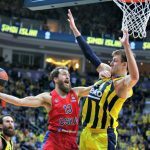 Concurrently, they will be waiting for Jan Vesely’s return to action in order to be in full force in the playoffs. 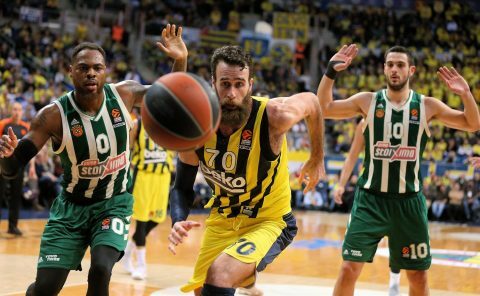 The Turks have the best team in the entire league and are the number one favorite to claim the title. The other two teams that will advance to the playoffs in the coming rounds are CSKA Moscow and Real Madrid. Both teams have identical records (17-5) and will officially secure their ticket to the postseason in the upcoming games. On Friday, the Muscovites edged the “Whites” at home (82-78) and climbed to the second place in the standings. They now hold the tie-breaker over the defending champions, thanks to their 2-0 record this season. That said, they have the upper hand in the battle of the second place.